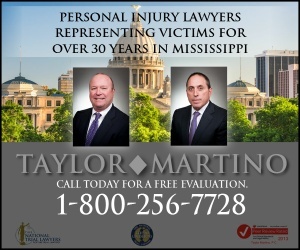 Jackson, MS - Accident News and Resources including car, bicycle, motorcycle and truck accidents and much more. Jackson is the capital and largest city in Mississippi, with a population of 539,057 in 2010. The City of Jackson was founded in 1821 at the site of a trading post situated on a bluff on the west bank of the Pearl River. The slogan for the city is "Jackson, Mississippi: City with Soul." It has had numerous musicians prominent in blues, gospel and jazz, and was known for decades for its illegal nightclubs on the Gold Coast; one site has been designated for the Mississippi Blues Trail. Jackson is home to several major industries including electrical equipment and machinery, processed food, and primary and fabricated metal products. To get up-to-date road information, go to the Mississippi DOT site. And to find out current weather conditions in the Jackson region, go to the National Weather Service site. Interstate 20 Runs east-west from near El Paso, Texas to Florence, South Carolina. Jackson is roughly halfway between Dallas and Atlanta. The highway is six lanes from Interstate 220 to MS 468 in Pearl. Interstate 55 Runs north-south from Chicago through Jackson towards Brookhaven, McComb, and the Louisiana state line to New Orleans. Jackson is roughly halfway between New Orleans and Memphis, Tennessee. Interstate 220 Connects Interstates 55 and 20 on the north and west sides of the city and is four lanes throughout its route. U.S. Highway 49 Runs north-south from the Arkansas state line at Lula via Clarksdale and Yazoo City, towards Hattiesburg and Gulfport. It bypasses the city via I-20 and I-220. U.S. Highway 51 Known in Jackson as State Street, it roughly parallels Interstate 55 from the I-20/I-55 western split to downtown. It multiplexes with I-55 from Pearl/Pascagoula St northward to County Line Road, where the two highways split. U.S. Highway 80 Roughly parallels Interstate 20. Mississippi Highway 18 Runs southwest towards Raymond and Port Gibson; southeast towards Bay Springs and Quitman. Mississippi Highway 25 Some parts of this road are known as Lakeland Drive such as Jackson & Flowood, which runs northeast towards Carthage and Starkville. If you are looking for information on a specific crash that happened in Jackson, go to the link above for the accident type you are seeking. When a loved one is killed in a motor-vehicle accident, it is often helpful for grieving family and friends to get help from a grief support organization. It can be comforting to talk with others going through a similar situation, and the road to recovering from the loss may go more smoothly. Go here to get information on Jackson grief support. After a serious crash, it is crucial to get help from a Jackson injury attorney who understands the local regulations and legal standards, who knows how insurance policies work, and who can handle all aspects of an insurance claim so the injured person can focus on recovery. If someone is killed in a collision, a Jackson wrongful death attorney will launch a claim that will begin the process of financial recovery for the family members left behind. 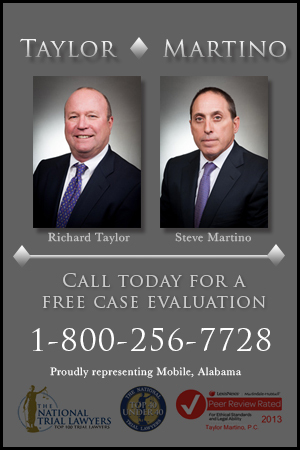 Learn more here about what a Jackson accident lawyer can do to help.